We are very excited to be featuring some amazing brands here on Happy Magazine over the coming weeks. These will be businesses with relevant offerings for anyone on a cancer journey. They will be natural and delicious products to try yourself at home or nourishing skincare and beauty just right for soothing tired and dehydrated skin after treatment. This week we are delighted to be featuring our first brand and holding our first ever giveaway in conjunction with Turmerlicious, a delicious instant hot drink with the added benefits of turmeric and black pepper. 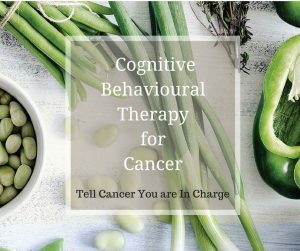 If you are on a cancer journey you have no doubt heard or read about the possible benefits of turmeric and curcumin in helping your body to fight cancer. We know that one of the first things we did on our cancer journey was buy a big bottle of curcumin tablets. However, there are some mixed opinions out there as to how much curcumin our bodies can absorb from tablets. 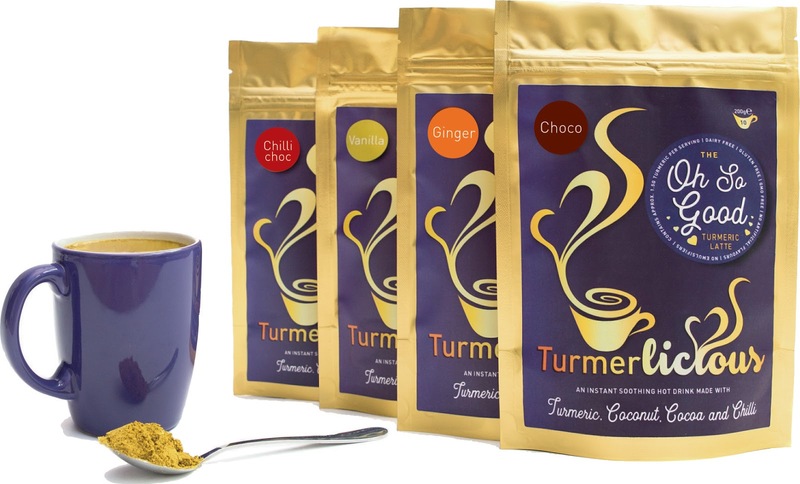 That is why we really liked the idea of the Turmerlicious Lattes – they combine whole food turmeric with black pepper and the essential fat from coconut milk to encourage as much absorption in the body as possible – and they are also a delicious hot drink just right for a comforting evening cuppa. They are available in four flavours – Vanilla, Ginger, Choco or Chilli Choc and are all made with coconut, cinnamon, ginger and black pepper. 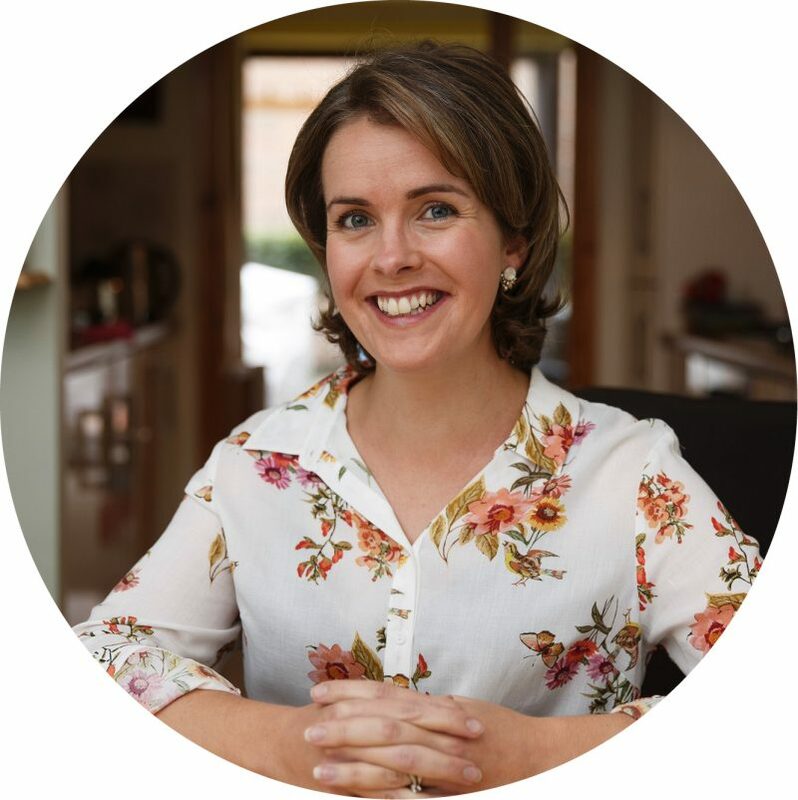 Maggie Howell is the Creator and Founder of Turmerlicious and she came up with the drinks back in January 2016 for her family of 5 boys after she heard about the benefits of turmeric. Maggie believes the drink contributed to subtle changes in her house – no sniffles, coughs, colds, her sons and her own eczema had gone and they all felt like they had more energy. She started making the drinks for her friends and they all commented on how good it made them feel. And the rest, they say, is history – she decided to take her product to market. Maggie suggests a Turmerlicious Latte as the perfect drink to have anytime – instead of a morning coffee to give you a boost, during that 3pm afternoon lull as it gives you a natural lift, or as a relaxing evening treat once the kids are in bed. Tumerlicious has been specially formulated to maximise the bioavailability of curcumin. It is made from whole turmeric root (which contains over 200+ active constituents) with added black pepper which has been shown to increase the absorption of curcumin by up to 20 times. As turmeric and cinnamon are fat soluble, Turmerlicious has blended them with coconut milk to also aid absorption. 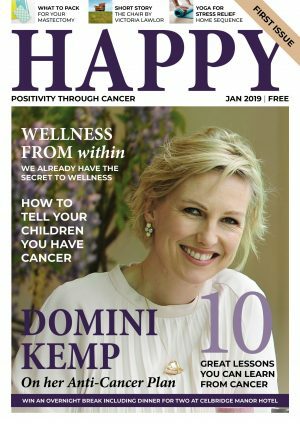 Here at Happy Magazine, we think Turmerlicious is a great product to add to your Anti-Cancer Plan – as well as the possible health benefits, they taste great and make a warming hot drink, perfect for these colder winter months. We are very pleased to be giving away a Turmerlicious Bundle over on Facebook – all you have to do is Comment and Share with your friends. The lucky winner will receive a 200g Pack of each Turmerlicious flavour – Choco, Chilli Choc, Ginger and Vanilla – guaranteed to keep you going for awhile! Please enter here – and Good Luck! 1. 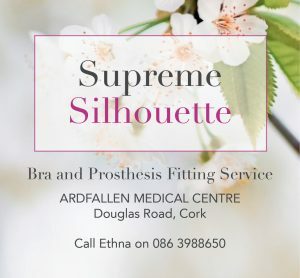 To find a local stockist in Ireland click on this Google map and zoom into your area. If your local store does not stock it, you can always ask them to buy it via Independent Irish Health. 2. Go to your local Holland and Barrett or order from Holland and Barrett and collect in their stores. 3. Good old Amazon sells it too. The recommended retail price for a 200g pack of Turmerlicious is €8.50. To find out more about Turmerlicious, visit their website here.